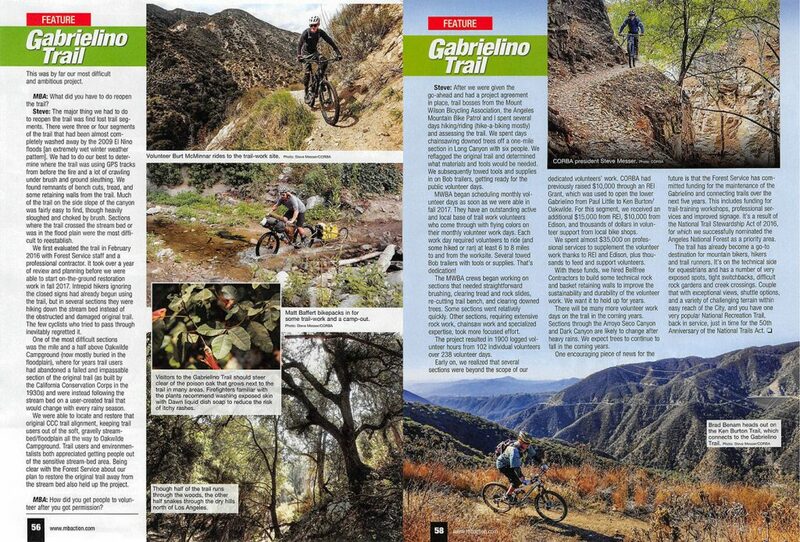 The January 2019 print edition of Mountain Bike Action features a four-page article/interview about the Gabrielino project and what it means to mountain bikers and the trail community at large. In case you don’t get the print edition, a PDF copy is available here or scans of the article appear below. 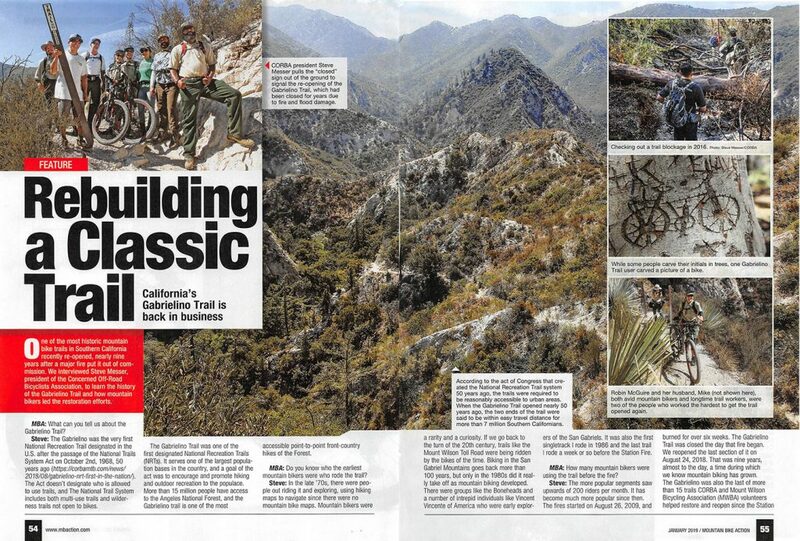 We really appreciate the coverage and the love from Mountain Bike Action. This entry was posted on Sunday, December 9th, 2018 at 7:53 pm and is filed under Angeles National Forest, Media, San Gabriel Mountains. You can follow any responses to this entry through the RSS 2.0 feed. You can leave a response, or trackback from your own site.